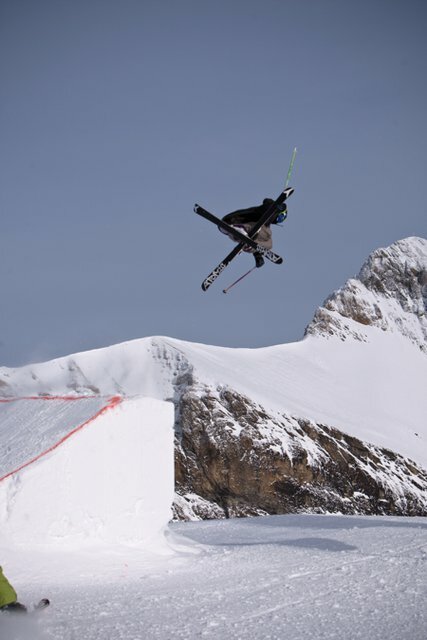 Freestyle.ch, European Open and Glacier 3000 Invitational. 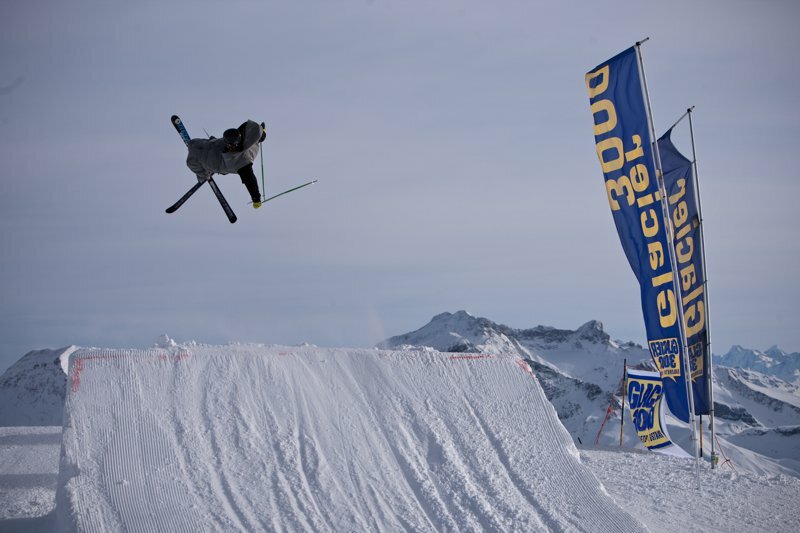 Switzerland is known for some of the finest freeski events on the globe, and last weekend the latter of these three events took place. 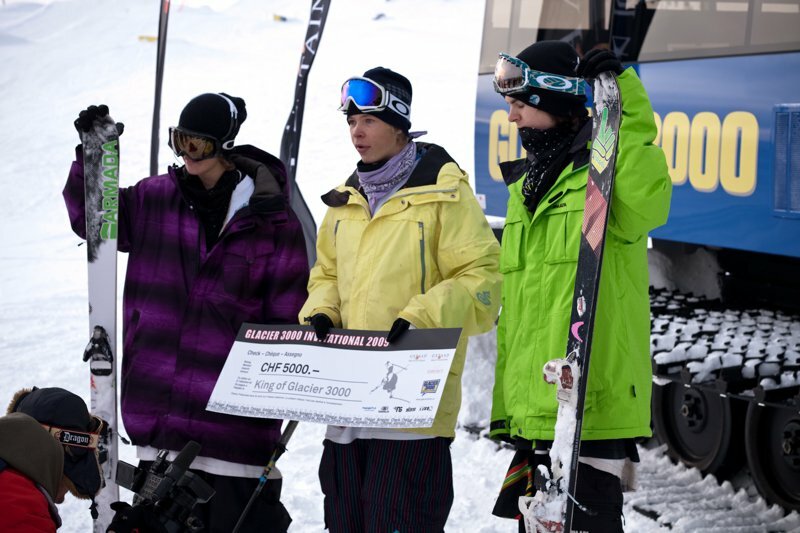 The Glacier 3000 Invitational (formerly known as the Monsterpark Invitational) is a three-day event and manages to bring a good bunch of the freeski elite together. 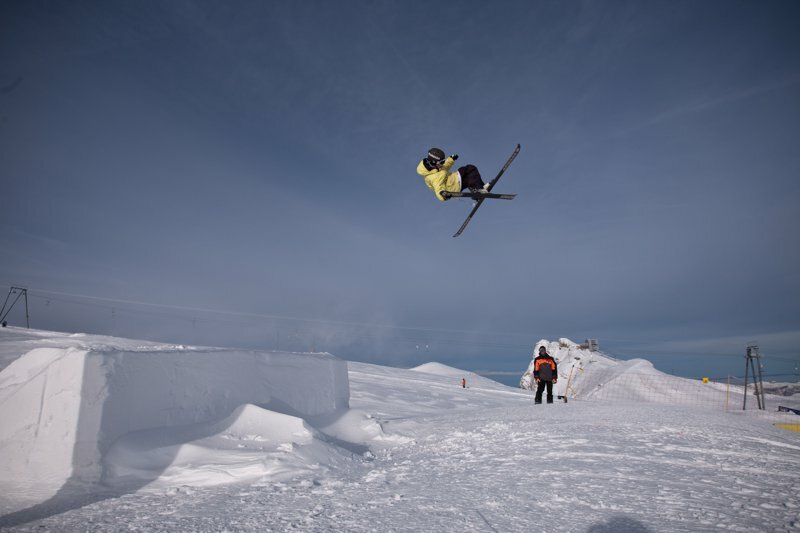 Last year Henrik Harlaut stupefied the spectators in attendance with skiing&rsquo;s first stomped switch 1620 at a competition and this year we were up for some more action. Unfortunately the warm summer weather had its impact on the glacier and snow conditions were far from ideal. 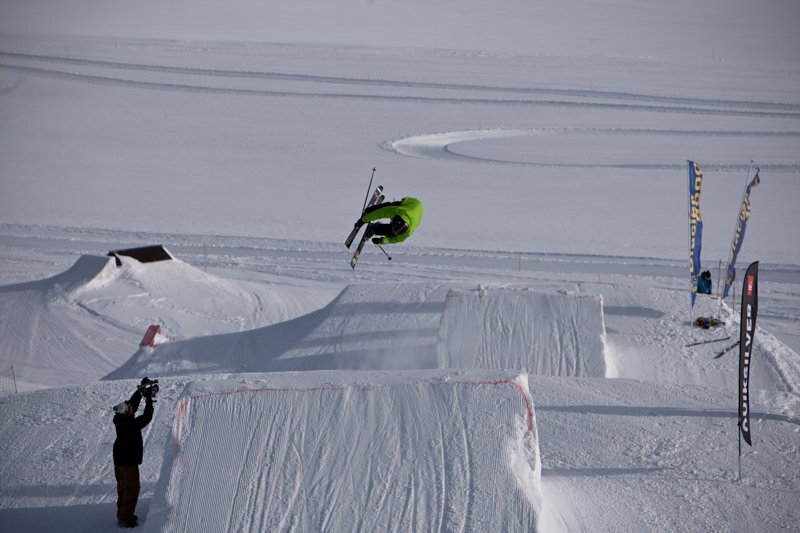 Last years &ldquo;Big Mamma&rdquo; with the massive table was nowhere to be seen, instead the organizers came up with some creativity and managed to whip up a small but fine park despite the lack of snow. The tables were not as big as some pros are used to but this gave the whole competition a more joyish feeling where winning was not a necessity. The event started out on Wednesday, were skiers who had not received a free ticket to the finals battled it out for two of the desired wild cards. 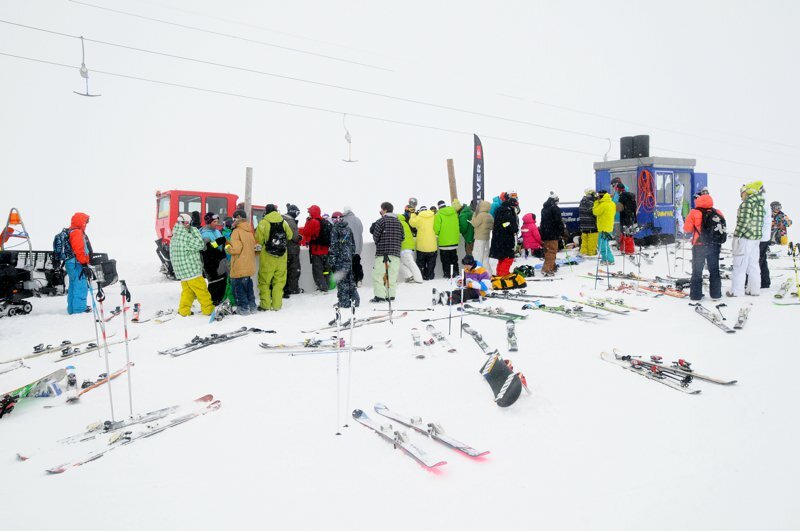 After a day of jamming, jibbing and skiing two happy faces received the ticket to go ride with the big guys, after which the skiing family headed back down to Gstaad to celebrate Lolo Favre&rsquo;s birthday. Unfortunately the weatherman didn&rsquo;t receive an invitation and showed his grumpiness by spoiling the next days weather. Fog and wind made it pretty much impossible to see or to ski and the competition had to be postponed until the following day. On Friday the weather presented itself in a more cooperative way and the few clouds that were still hanging around the park didn&rsquo;t disturb anyone&rsquo;s skiing day. The guys had a blast and the small set up didn&rsquo;t prevent some of the skiers from trying some double corks, although with the short amount of air time it probably wasn&rsquo;t the best choice. 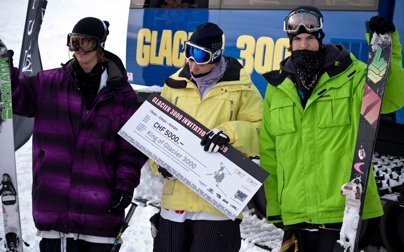 The young Norwegian newcomer Elvis Harsheim coped best with the small kickers and with his stylish, massive and stomped right and left side nines earned himself the title King of Glacier 3000. 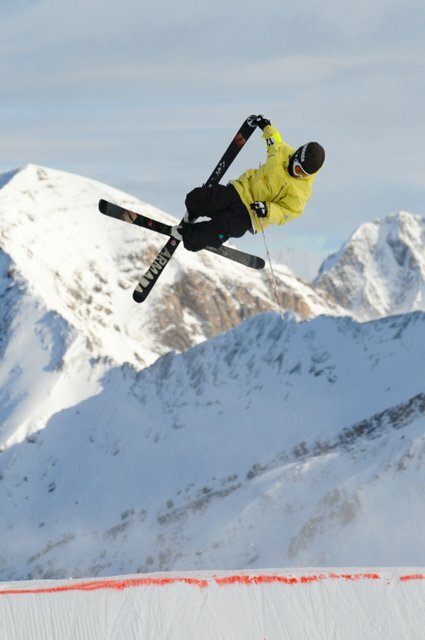 Phil Casabon styled his way to the second place and Kim Boberg from Sweden took third place. The numerous spectators that showed up for the third annual Glacier 3000 Invitational had the pleasure of being part of a great show. The twenty-two riders from six nations had a good time for their first time on real snow this winter as opposed to the different feel of the city contests earlier this fall. Like every year at Glacier 3000, the good organization and park has to be mentioned and commended, and we hope that next year&rsquo;s snow conditions will enable another appearance of &ldquo;Big Mamma&rdquo; at next year&rsquo;s installment of the Glacier 3000 Invitational.